With features like 5,500 CFM, ductable to 150 feet with a full load power consumption of a mere 8.5 amps, it’s not surprising why the Blaze 400G Turbo boasts the highest performance level in its class. 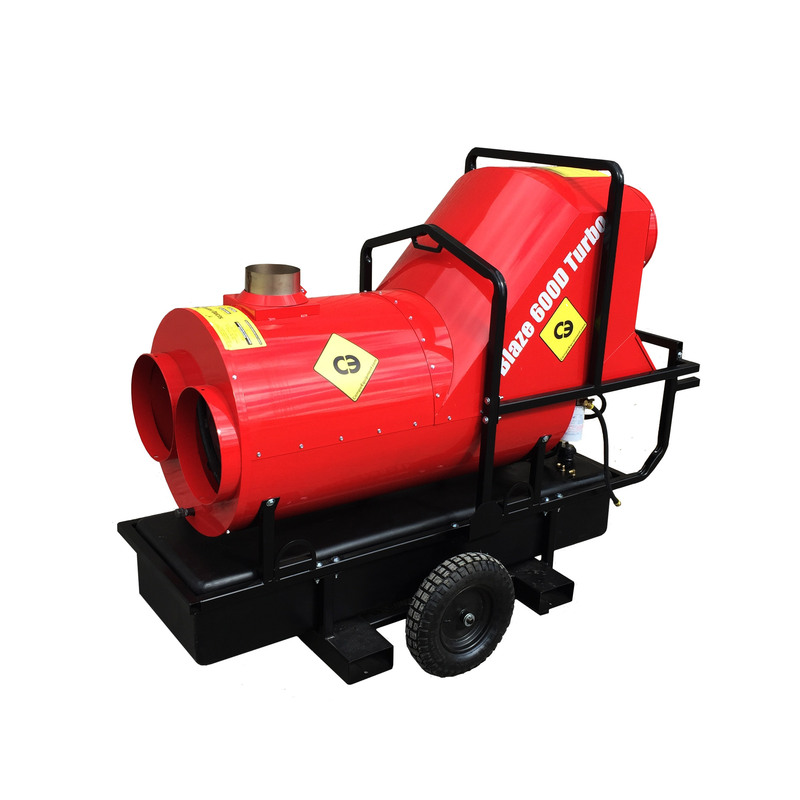 Capable of 3″ of static pressure, it comes equipped with Whisper Quiet Operation, 220° F Heat Rise and Air Recirculating Capabilities. Designed to meet the particular needs of the rental market, the low amp draw (8.5 A) and high static capabilities makes the Turbo adaptable to unpredictable environments. The sleek and compact design (76.7” x 31” x 57.6”) combines efficiency with high performance making the 400 Turbos adaptable to various heating and drying applications. Rental rugged and designed for durability, each unit comes equipped with a lifting bar and forklift pockets as well as optional foam filled tires. We continue to listen and innovate, one of the greatest challenges for portable heaters is power and power quality. Overloaded temporary power systems on job sites, undersized or overly long extension cords all make for problems. Our answer: the latest generation Turbo heaters, while we don’t recommend running your heaters on low voltage, check out the attached video – our heater doesn’t cut out until just under 70 volts and the whole time our amperage does not spike above ten amps!